Come see why Dr. Chui is the right dentist for you. Let her professional skills serve you. We understand the importance of listening to your concerns, and discussing the dental treatment process using evidence-based approach. From a simple cleaning to treatment for dental issues in our Brookline office, your comfort is our priority. Dr. Chui and her Brookline dental team will show you how to protect your oral health after treatment so you will get the long lasting result. We constantly monitor the outcome of your treatment by keeping in close contact with you. We strive for clinical excellence by attending professional dental education classes in Florida that are well beyond the regulated requirements. To be well educated about your health, check out our dental care videos. 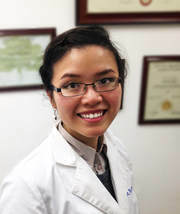 Meet Dr. Chui and view her newly renovated office. We are so excited to show our cutting edge dental technology and newly renovated décor. We are so lucky to have patients who allow us to give them their care, and everyone here at Dr. Chui's office looks forward to having you with us!